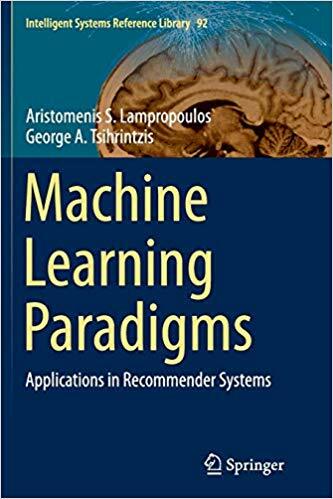 This timely book presents Applications in Recommender Systems which are making recommendations using machine learning algorithms trained via examples of content the user likes or dislikes. Recommender systems built on the assumption of availability of both positive and negative examples do not perform well when negative examples are rare. It is exactly this problem that the authors address in the monograph at hand. Specifically, the books approach is based on one-class classification methodologies that have been appearing in recent machine learning research. The blending of recommender systems and one-class classification provides a new very fertile field for research, innovation and development with potential applications in “big data” as well as “sparse data” problems. The book will be useful to researchers, practitioners and graduate students dealing with problems of extensive and complex data. It is intended for both the expert/researcher in the fields of Pattern Recognition, Machine Learning and Recommender Systems, as well as for the general reader in the fields of Applied and Computer Science who wishes to learn more about the emerging discipline of Recommender Systems and their applications. Finally, the book provides an extended list of bibliographic references which covers the relevant literature completely.